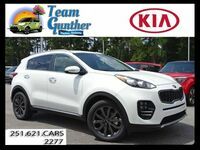 There is plenty of competition in the compact crossover market, but the 2019 Kia Sportage near Pensacola FL makes a bold statement and offers cutting-edge technology. This model is available in LX, EX and SX trim levels, all of which are available with an advanced Magna Dynamax intelligent all-wheel drive system that includes a locking differential and can offer premium traction even in challenging driving conditions. The 2019 Kia Sportage has seating for up to five passengers, and 30.7 cubic feet for cargo behind the rear seats. Folding that down opens up 60.1 cubic feet for hauling larger items. This model also offers several driver assistance features starting in the EX trim. 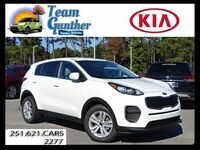 Keep reading to learn more about the 2019 Kia Sportage, or check out our new Sportage inventory below to see if this model is available here at Team Gunther Kia in Daphne AL. With two bold engine options, the 2019 Kia Sportage can offer the ideal balance of performance and fuel economy for different drivers. A 2.4-liter four-cylinder engine rated for 181 horsepower and 175 pound-feet of torque is standard on LX and EX trim levels. 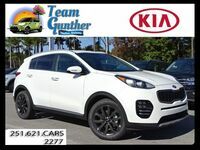 When equipped with front-wheel drive, the 2019 Kia Sportage LX can offer up to 23 mpg in city driving and 30 mpg on the highway. The SX trim comes with a 2.0-liter turbocharged four-cylinder engine that cranks out 240 horsepower and 260 pound-feet of torque. This model continues to offer respectable fuel economy even with the significant power increase. A front-wheel drive 2019 Kia Sportage SX is rated for 21 mpg in the city and 26 mpg on the highway. This compact crossover is also available, starting in the EX trim, with many driver assistance features including autonomous emergency braking, forward collision warnings, lane departure warnings, blind-spot alerts, rear cross-traffic alerts and an auto-dimming mirror with HomeLink buttons. Most of these features are standard on the 2019 Kia Sportage SX, which also comes with Dynamic Bending Lights. 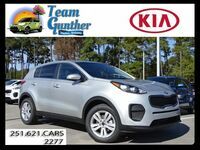 Are you interested in learning more about the 2019 Kia Sportage near Pensacola FL? 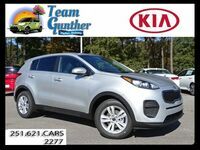 You can click below to request more information from Team Gunther Kia in Daphne AL.